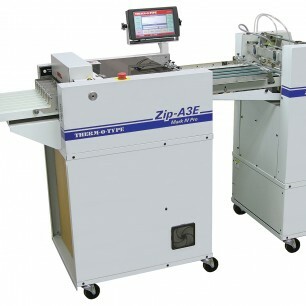 The Zip-A3E Pro combines dramatically higher throughput speed with a high capacity air feeder and delivery conveyor. Contact us for more information on this THERM-O-TYPE Zip-A3E by clicking the blue “get more info” button to the right. Or, view more information in the product brochure below.